Compte rendu publié dans Acta fabula : "La comtesse de Ségur : une petite auteure modèle ?" par Alice Brière-Haquet. Manchester : Manchester university Press, coll. "Studies in modern French History", 2011. This is the first book-length history of the classic French children s author, the comtesse de Ségur. Virtually unknown in the English-speaking world, in France Ségur is a national icon and a cultural phenomenon. Generations of children have grown up reading her stories. This book combines a discussion of her life, her works, and their reception with a broader analysis of the cultural context of the mid-nineteenth century. 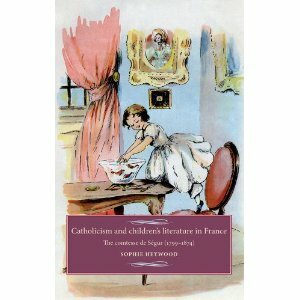 It offers a unique insight into the political engagement of Catholic women through the medium of children s literature and education, and brings out new aspects of the history of publishing aimed at children, with particular reference to the market for books for girls. With its lively subject matter and accessible style, this book will appeal not only to scholars of nineteenth-century France, but also to specialists and students interested in the fields of children s literature, gender studies, and religious history.